WASHINGTON -- Federal health officials have approved a first-of-a-kind flu vaccine that contains a booster to help protect seniors vulnerable to the virus. The Food and Drug Administration says Fluad is the first seasonal vaccine that contains an adjuvant, a substance that boosts the body's immune response. 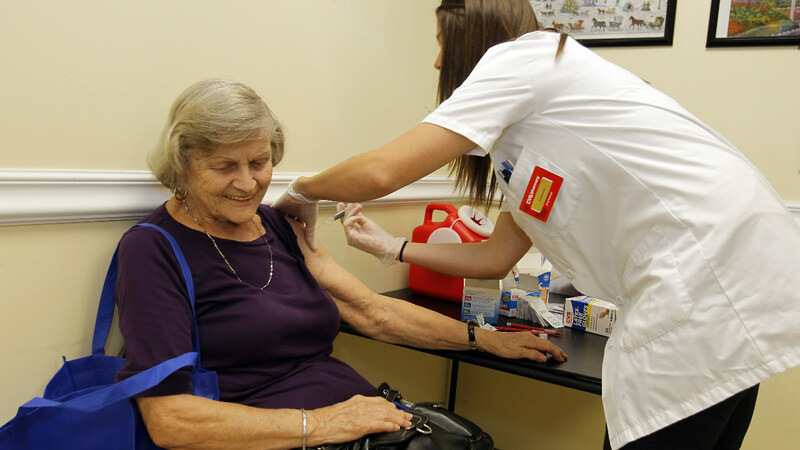 The agency approved the vaccine late Tuesday to prevent seasonal flu in people 65 and older. Several vaccines already include boosters, including aluminum, which has been shown to help build immunity. Fluad contains an oil-in-water mixture that includes squalene, a substance found in humans, animals and plants. The vaccine was first approved in Italy in 1997 and is available in 38 countries, including 15 European countries and Canada. Between 80 percent and 90 percent of flu-related deaths occur in seniors, according to federal authorities. For more flu-related stories, click here.